After serving for six years as prime minister, P. W. Botha became the first executive state president of the Republic of South Africa in 1984. His administration was marked by tension and riots. He tried to improve conditions for nonwhite residents of South Africa, but he also used force to take down opposition. Botha is best known for his stubbornness, a trait that earned him the nickname of "The Old Crocodile." Pieter Willem Botha was born on January 12, 1916, in the Paul Roux district of the Orange Free State. He is what is referred to in South Africa as an Afrikaner, a white person who speaks Afrikaans (a form of the Dutch language) as his native language. Botha's father, also named Pieter, fought in the Boer War (1899–1902). In this war the Boers, white descendants of Dutch colonists who controlled two republics in South Africa, tried to prevent the takeover of those republics by the British. Botha attended secondary school in Bethlehem. He started his career in politics as a teenager, joining the National Party. He entered the University of the Orange Free State in Bloemfontein, South Africa, to study law, but left the university at age twenty in order to begin a full-time political career. The rural Orange Free State was among the most Afrikaans-speaking regions of South Africa. For many decades it was known for its extreme political conservatism (desire to maintain traditions and opposition to change) among whites. Thus, it was not surprising that Botha became involved with the conservative National Party, although at the time it was still a minor party in South African white politics. Botha was appointed as a political organizer for the Nationalists in neighboring Cape Province. In March 1943 he married Elsie Rossouw, with whom he had two sons and three daughters. He was put in charge of publicity during the campaign leading up to the May 1948 general election, an election the National Party unexpectedly won. In the 1948 election Botha won a seat in the House of Assembly, the lower chamber of South Africa's parliament. He would hold this seat for the next thirty-six years. Also in 1948 Botha was made chief secretary of the National Party in the Cape Province, a post he held for a decade. These years are said to have changed Botha's conservatism in favor of "Cape liberalism," meaning that he became more open to change and aware of the needs of nonwhite people in the province. Botha continued to earn promotions and take on more responsibility. In 1966 he became defense minister, a position he held for the next fourteen years. During this time, military spending increased greatly, and South Africa produced enough of its own weapons that it no longer needed to get them from other countries. Botha also created new opportunities in the military for women and nonwhite South Africans. When Prime Minister B. J. Vorster resigned in 1978, Botha won the election to succeed him, a result that took many by surprise. Botha's campaign was helped by a scandal that hurt the reputation of another candidate. Botha announced his intention to direct the country toward reform and away from the policy of "apartheid" (separation of blacks and whites) that had been a way of life in South Africa. The new prime minister told his fellow whites to "adapt or die." The conservatives in the National Party strongly resisted this suggestion, and for years the struggle over policy within the party hurt Botha's attempts at reform. One example of this was the new South African Constitution of 1983, which for the first time admitted nonwhites to membership in parliament. It was only a minor improvement, as the real power remained in the hands of the white president and white members of parliament. 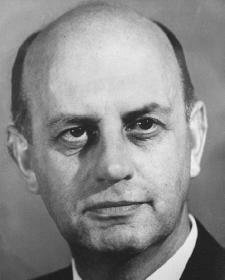 In 1984 Botha was elevated to the post of executive state president, and the position of prime minister was eliminated. He introduced some reforms, such as allowing the creation of black labor unions and ending the ban on marriages between people of different races. However, his lack of a firm resolve was seen as a barrier to real change. As promises to give full citizenship rights to all blacks and mixed-race people remained unfulfilled, tensions within the country's black population increased. Botha was also criticized for his refusal to free Nelson Mandela (1918–), a black leader of the African National Congress who had been imprisoned since 1964 for treason. The country was torn by rioting and began to be pressured by other countries to end the system of apartheid and free Mandela. In May 1986 the government backed a series of attacks in Zimbabwe, Botswana, Zambia, and South Africa. The attacks led to more rioting, which left dozens of people dead, tens of thousands homeless, and caused an increase in racial tension. By June 12 the government declared a national state of emergency. Other countries condemned Botha's government for these activities and decided to stop trading with South Africa. Still, Botha and the National Party held strong, and the price of gold, South Africa's chief export, rose sharply. By the time of the parliamentary elections in March 1988, Botha had begun to return to his conservative roots and ordered a ban on organizations that opposed apartheid. In terms of South Africa's international relations, Botha made some attempts at friendship with other countries—although he also warned South Africans to be aware of the possibility of a "total onslaught" against the republic by foreign countries. He met with President Kaunda of Zambia in 1982, and in March 1984 he signed the "Nkomati Accord" with President Samora Machel of Mozambique. This agreement sought to end fighting along the common border between the two countries. Botha also officially visited seven Western European capitals, the first South African head of government to do so in many decades. In January 1989 Botha suffered a stroke that left him partially paralyzed. He retained the presidency, but it was rumored that he would resign. On July 5, 1989, a historic meeting took place between Botha and Mandela. Mandela was not released from prison at that time, but the meeting was seen as a breakthrough between the white ruling party and the black majority. Botha officially resigned from the presidency on August 14, 1989, and on May 6, 1990, he resigned from the National Party. Botha has refused to apologize for his role in maintaining the apartheid system, which was eventually eliminated under Fred-erik W. de Klerk (1936–), who took over after Botha's resignation. In 1996 and 1997 Botha was charged in connection with a series of bombings that had taken place in the 1980s against the African National Congress. In 1998 he was put on trial and was implicated in the 1988 bombing of the headquarters of the South African Council of Churches. Botha's refusal to testify led a court to find him guilty of contempt (showing disrespect for the authority and dignity of a court by disobedience) in August 1998. He was ordered to pay $1,600 or serve a year in prison. Botha appealed the decision. In June 1999 the High Court in Cape Town, South Africa, overturned the conviction. Pottinger, Brian. The Imperial Presidency: P. W. Botha, the First Ten Years. Johannesburg: Southern Book Publishers, 1988. Scott, John. Venture to the Exterior. Port Elizabeth, South Africa: Acme Pub., 1984. Thompson, Leonard, and Andrew Prior. South African Politics. New Have, CT: Yale University Press, 1982. Botha died of a heart attack at his home in Wilderness on 31 October 2006, aged 90. His death was met with magnanimity by many of his former opponents. Former President Nelson Mandela was reported as saying "while to many Mr Botha will remain a symbol of apartheid, we also remember him for the steps he took to pave the way towards the eventual peacefully negotiated settlement in our country." President Thabo Mbeki announced that flags would be flown at half mast, to mark the death of a former head of state. The offer of a state funeral was declined by Botha's family, and a private funeral was held on 8 November in the town of George where Botha was buried. Mbeki attended the funeral and was even seen to shed a tear or two. The following day, pictures of this were splashed on the front pages of most of the regional newspapers.